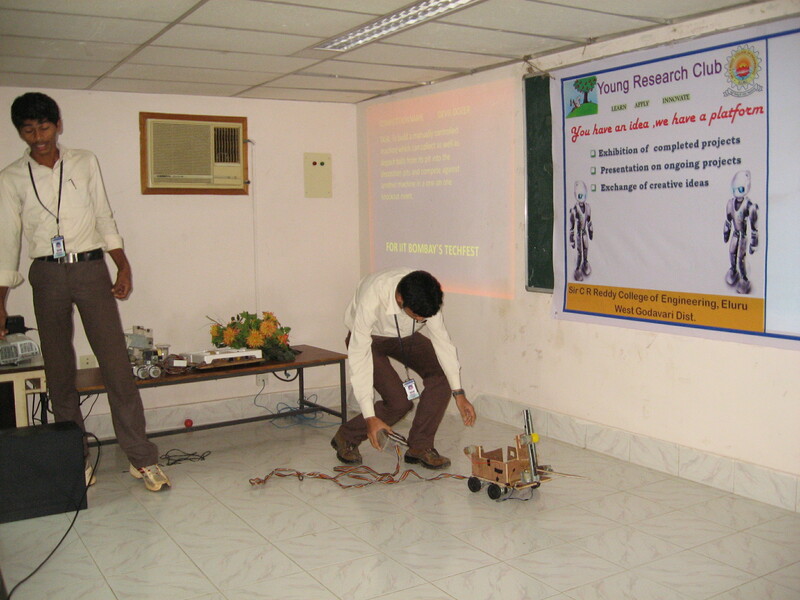 Young Research club is a research promoting association in Sir C R Reddy College of engineering, which formed its very first body in the academic year 2010-11. With a caption, “You have an idea. We have a platform”, this association has been successful in upgrading the research quality of the students, as well as elevating the innovative skills, by bestowing them a platform to illustrate their innovative ideas and thereby encouraging them to enhance their research skills. Young research club is now booming, as this association is lucrative in conducting many student research activities like sharing creative ideas on a stage, presenting ongoing in house projects, guidance for paper presentation, project expos and lot more. Students have been enthusiastically participating in all these activities since the emerging of this association. Very recently young research club have organized a project expo and witnessed a marvelous response. Among all the ground breaking demonstrations by students from various departments, the best 2 of all demos and one best demo from individual departments is identified.